Home/Blog/ Video, Video Production/How Much Time Does It Take to Make an Animated Explainer Video? How Much Time Does It Take to Make an Animated Explainer Video? Before plunging into video marketing, it’s key to understanding how an animated explainer video is done and how long it takes to make one. That way, you can plan in advance an effective schedule with correct deadlines. Video marketing has exceeded most expectations for some years now, and that’s why almost 90% of marketers have been using it in their strategies. Today we’re bringing you a simple guide to understand the process to complete a high quality video production and how long each stage takes. With most video companies, you’ll have your video ready in 4 to 8 weeks if it’s custom made for your brand. On the other hand, if it’s a template video you can have it in just a few days. We’ll go through this in a bit, but in general words, timing depends on the quality of your video and the business times of the video company. If you want to learn more, keep on reading about the different stages of video production and how long it takes for each one. It’s a simple way to understand what it takes to make a high quality animation that can surely boost your business. First, it’s essential to have a deep understanding of the differences between custom videos and templates and how that can affect your business. Firstly, learning the difference between custom made videos and templates will allow you to make a better business decision. Producing a template animation can be really fast and inexpensive. You may have your video even in one day, because they are created using pre designed graphics and characters that have been previously used in other videos. They are not tailored for you taking into account your branding, your objectives, your product and most importantly, your audience. The result is a low quality video that can confuse your viewers because it doesn’t reflect your business very well. 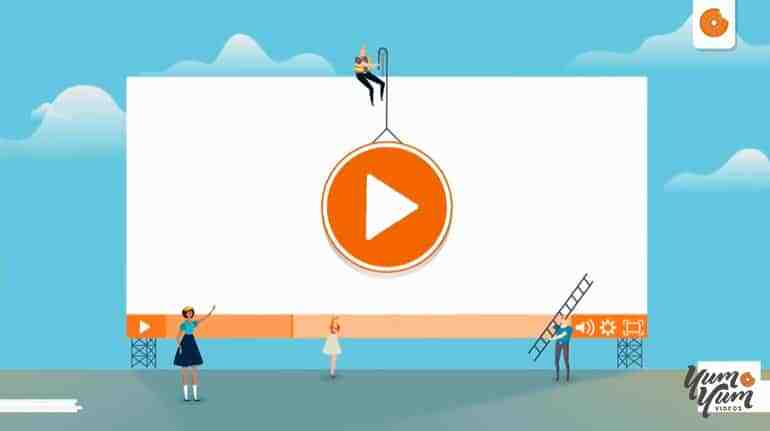 The recommended option is to use a custom animated explainer video. Why? Because it’s specially designed for your brand and product, it’s more effective to deliver the right message and engage with the right target audience. In general, they take from 4 to 10 weeks. 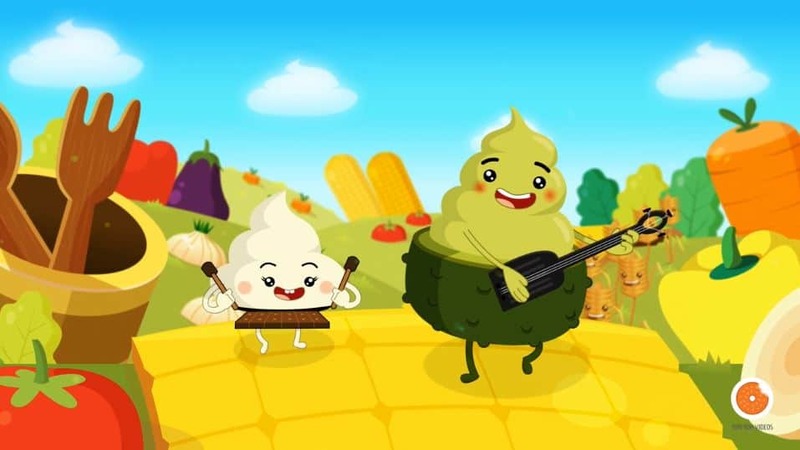 Normally, at Yum Yum Videos the production process lasts about 8 weeks. In other cases, it can be done in 5 weeks for an extra fee, because it demands extra hours and delays other jobs. But in both situations you will end up with a high quality video, striking visuals and characters that you won’t get with any template animation. And the key point of a marketing campaign is to stand out, right? We can say from our experience that no matter how long the custom video takes, it’s definitely worth it as it can guarantee you more engagement with the audience. That doesn’t happen with template videos, that are usually low quality and bland, and can harm your marketing’s performance. Yet, there are some video companies that can create customized videos in maybe 2 or 3 weeks, but check that they are high quality and fully customized. In that way, they’ll be more efficient to catch your audience’s eye and attention. Have you ever come across really bad and low quality videos on the web? Did you watch it till the end? Exactly. That’s how important quality is. Besides, low quality videos make people think your brand is low quality as well, why would they think otherwise? That’s why it takes some time but it’s really important to have high quality animated videos. 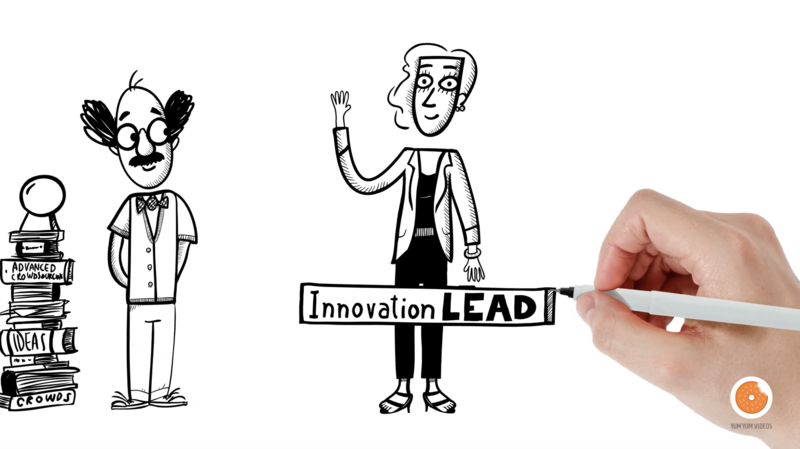 This custom video we’ve produced for Docusign it’s fun, cute and also fully customized. Check it out! As we said, customized videos can take around 5 or 8 weeks. The production includes a whole team of professionals: screenwriters, producers, actors, directors, illustrators, and more. Mainly, all the stages can be identified in these categories: Script, Storyboard, Voiceover, Character and Graphics Design, Animation and Music and Sound Effects. Let’s check it out! First of all, you’ll meet the video production company and they’ll ask you for a creative brief in which you have to describe your goals, your target, and the benefits and specs of your product or service. Later, the company will get you a script. This stage might take a couple of days or one week, it depends on how many changes they have to apply. The script is the essence of the video, because it sets the structure of the whole production. Are you interested in scriptwriting? 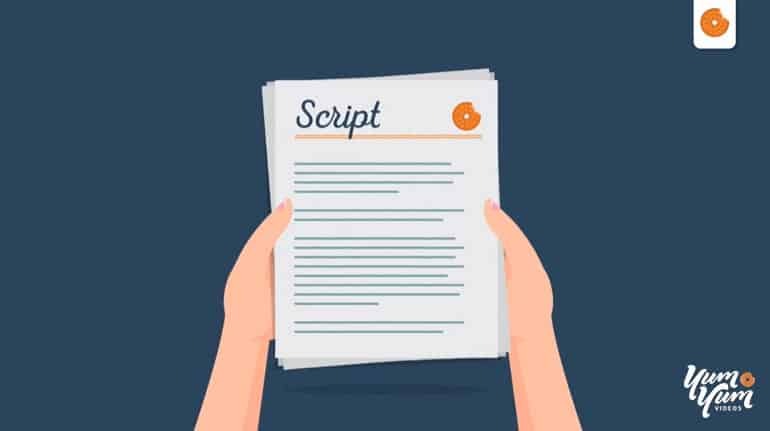 You can also download our free e-book “How to write a script for an explainer video”. Even though you decide to write it yourself or hire someone, you should always explore a little bit how a good script is made. So now that you have a script, you can step into the next stage: the storyboard. 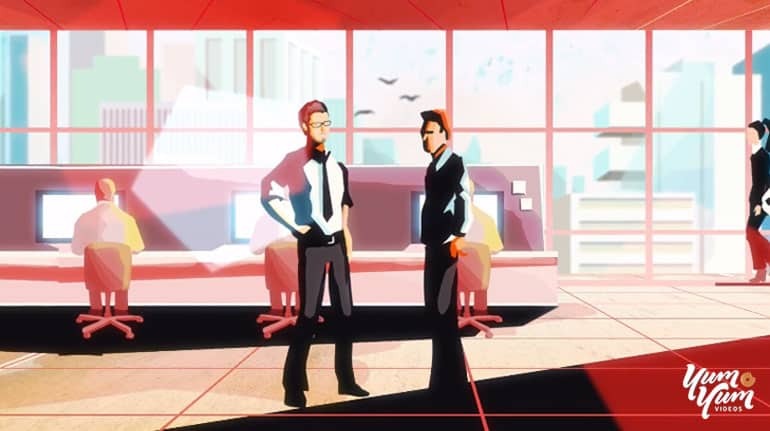 As you have probably seen before, a storyboard looks just like a comic book, it’s a frame by frame illustration that shows all the actions in the script. In general words, it’s a visual script and the aim is to have a preview of what the finished animation will look like and use it as a reference in the rest of the production process. It might take between a week and three weeks and it’s generally crafted by the creative director. Here’s an example of a professional storyboard. Take a look! After finishing both the script and the storyboard, you can go ahead and start recording voiceovers. These are done by professional voice actors, specially casted to represent your target audience with the right accent, gender and age. Voices give personality to the animation and can make the audience relate to them, that’s why they play such an important role in the production process. This is all explained in detail in this article we’ve posted. In high quality productions, each graphic element such as character’s illustrations and background, is designed in order to meet your brand’s standards and to suit your target’s description. That’s why it’s a customized video. Designing all the elements takes around a week. This part is very important because colors, characters and visuals make the video look fun and captivating, enhancing the bond with your audience. If you want to learn more about animated characters and their role to increase engagement, follow the link. Let’s move on to the fun part: animation! Now that all the characters and elements are designed, you can proceed to animate them just like it was drawn in the storyboard. This stage lasts a couple of weeks and it’s essential to add some life to the production, that’s why it’s so important to be done by professionals with experience in this field. A good animation can make your characters believable and compelling. A bad animation will make your brand look bad as well. Also, a stunning animation will make your video look high quality and sophisticated in order to make people interested and engaged in your content. Ready to give your animation the final touch? You can do it with music and sound effects. Soundtracks are crucial to provide the video with the emotion you want to aim for: fun, excitement, nostalgia or more. And that can turn a regular video into a great one. Think about all those memorable songs you’ve heard in movies, commercials or clips. That’s how important music is. This task might add one more week to the process. In this article we went through the main steps to produce a customized explainer video. In short, a video production consists of a script, a storyboard, voiceovers, illustrations, animations and music. It may sound easy now, but it is a complex procedure that needs to be done by professionals in order to achieve an amazing video. So after all, 5 to 8 weeks of production is not that much, right? You can also go for template videos if you´re short on budget and time. But bear in mind that this format can affect your marketing strategy, because a poor quality video can really harm your brand’s image. You might end up wasting your money with a cheap video that doesn’t say much about your product and doesn’t get a lot of interest. We know all this work may sound a bit intricate, but don´t worry. Here at Yum Yum Videos we have a broad expertise on the subject with more than 300 clients who have already trusted us with their customized videos and ended up with outstanding results. You can click on our slide “How does our video process work?” if you liked this article and want to learn more. If you want boost your business with a high quality animation made specially for your brand, get in touch with us and we´ll be glad to help you.